While Apple may be releasing a desktop monitor of its own in the future, we don’t know when that will be or what users it will target. To make things easier on, you here are the best current monitors to match up with your MacBook Pro laptop. This monitor made our list of the top MacBook Pro accessories, so it’s no wonder it steals the top spot here. At 32-inches diagonally with a 4K resolution, it’s an absolutely huge display with tons of screen real-estate. That gives you plenty of room for productivity — although working so close to a large screen may take some getting used to. But once you do get used to it, you’ll appreciate how gorgeous this display looks. Built using an IPS panel for fantastic color accuracy, this BenQ monitor has a 4ms response time so that it can handle gaming sessions as well as high-detail work. It also features BenQ’s Eye-Care technology for reduced blue-light and flickering, making it more comfortable to use over longer periods of time. If the $700 price tag is a little rich or you think the resolution is overkill, there is a substantially cheaper QHD (2,560 x 1,440) version also available, with all of the same specifications and features otherwise. Although our testing didn’t paint this as a perfect monitor, the LG 27UD68-W is an affordable option for those looking for sheer style, with a lot of substance. Its 4K resolution in a 27-inch form-factor means its pixels are dense and its colors are rich, with 99% coverage of the sRGB spectrum. The monitor also includes AMD FreeSync and on-screen controls for manually splitting the screen or adjusting color. There are preset modes offered, including a game mode and a black stabilizer. 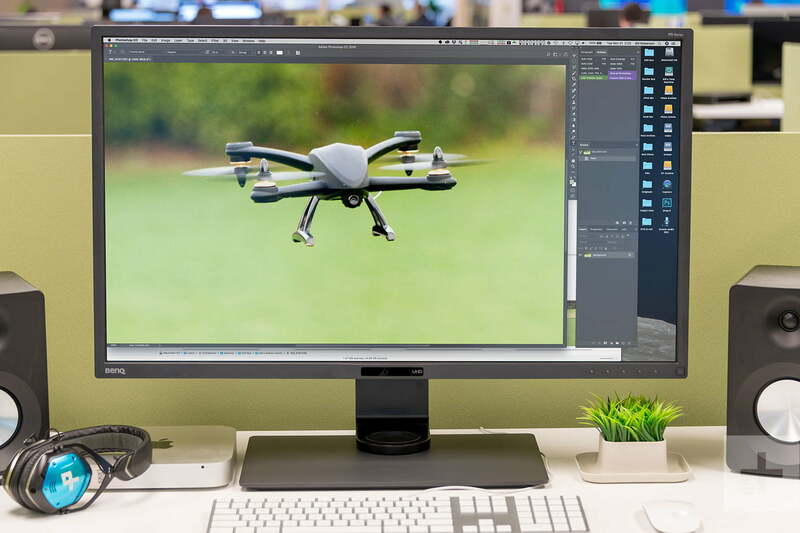 It’s a beautiful monitor with a lot of detail, a great pick if you want a more standard-sized monitor but still want excellent image features for work and entertainment. The price is also quite affordable compared to our other top picks! If you’re looking for a larger screen that can hold more projects or provide a more immersive gaming experience, this massive 38-inch curved Dell monitor should be just what you need. As we noted in our review, the 4k monitor has accurate color, a great warranty, and excellent display controls for adjusting the picture. And, for a monitor this size, pricing is very competitive! Ports include two HDMI, one DisplayPort, and a USB-C connection, as well as two upstream and two downstream USB ports. Unfortunately, there is no FreeSync option for this Dell model. As much as it is the most expensive display on this list and it isn’t without its drawbacks, it’s hard to deny the LG 27MD5KA-B a mention, as it looks absolutely stunning when in operation. 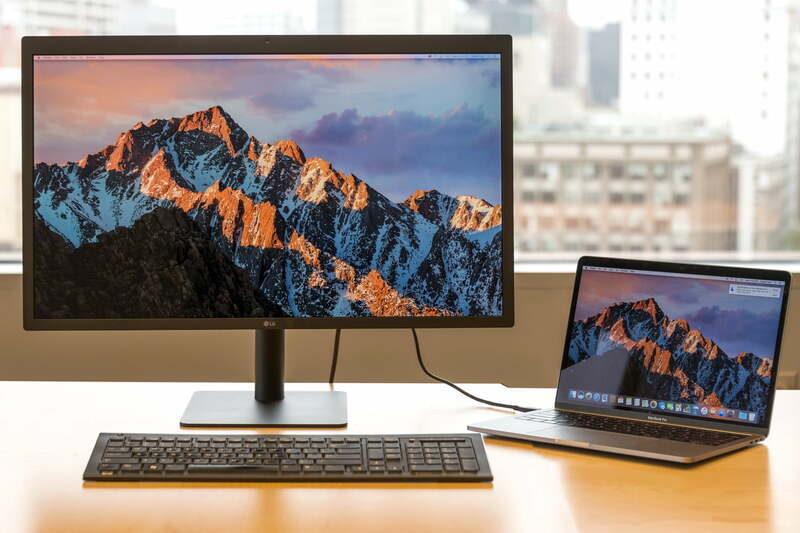 It’s also the only monitor on this list built in conjunction with Apple specifically for MacBook Pros, which makes connecting it up to yours about as easy as it can be. With a staggering resolution of 5,120 x 2,880, this monitor makes even 4K displays look lacking in terms of pixel density — especially since these are crammed into a 27-inch form-factor. In our review, we loved how easy it was to connect this display up to your MacBook Pro and that once you do, not only does it start working straight away, but it also starts charging your laptop immediately. MacOS will automatically detect and configure the monitor as a second display, and if you disconnect and reconnect later, all your windows and apps will jump back to where they were before. There are some issues with color accuracy and the design isn’t as attractive as the other LG entry on this list, but this display is still sublime to look at. Gorgeous to use, but flawed and expensive. Just because 4K displays are more affordable today than they have ever been in the past, doesn’t mean you have to shell out for one. The Acer H277HU is a 27-inch panel that looks great with its QHD resolution of 2,560 x 1,440. Featuring a response time of just 4ms, it’s surprisingly spry for an IPS panel and its slimline bezel makes it an attractive addition to your home or office from any angle. Although its price tag is practically economical compared to some entries on this list, if you find it too rich for your blood or don’t need something as big as the 27-inch model, there is also a 25-inch variant which knocks a few dollars off the asking price.